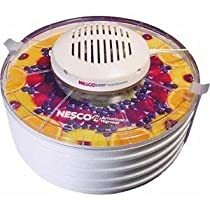 Testing out the Nesco Dehydrator I received from Hubby for Christmas on some apples and yams. It worked well on the coconut macaroon cookies last week. Also bakin’ bacon, yams, sweet potatoes, cherry Larabar wannabes and another loaf of George’s fantastic Banana Bread! This entry was posted in Edibles, Uncategorized and tagged cooking, equipment on January 4, 2013 by Pamela.